The Titanic was the second of three ships that were planned on being built as a shuttle service from Southampton to New York. Intended to be similar in design, these were engineered to be the most luxurious cruise vessels on the planet. Here is some of the history and facts behind the two White Star Lines ships that did not meet as historic of a fate as the RMS Titanic–the RMS Olympic and the HMS Britannic. Little sister to the Titanic, the RMS Olympic was launched on October 20, 1911 and was captained by Edward J. Smith, the same man who captained the Titanic on the night of its tragic sinking. 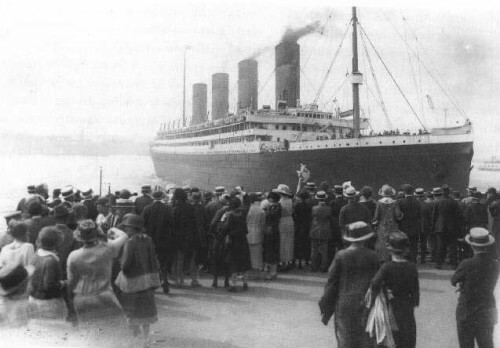 Her maiden voyage took place on June 14, 1911 and made the trip from Southampton to New York successfully. Like the Titanic, the Olympic also had problems while sailing. On September 20, 1911 she was involved with a collision with a cruiser by the name of HMS Hawke. The Olympic received massive damage and was repaired using parts from her sister ship the Titanic. After the sinking of the Titanic, the Olympic had a facelift that bolstered safety precautions including an increased number of lifeboats and an inner watertight skin that was installed. The ship was requisitioned by the British government on September 1, 1915 as a vessel used to transport troops. Perhaps her most famous military exploit was when she struck and sank a german submarine by the name of U103. The Olympic then returned to work as a shuttle ship and her bad luck would return. Even with the newly earned nickname “Old Reliable”, the Olympic would meet tragedy yet again after colliding with the Nantucket lightship, claiming the lives of 7 individuals. Her career ended on April 12, 1935 in Southampton. Her ragged body was dismantled on September 19, 1937 and parts were auctioned off. Some of her components can be seen today at various locations including the White Swan Hotel in Alnwick, England. 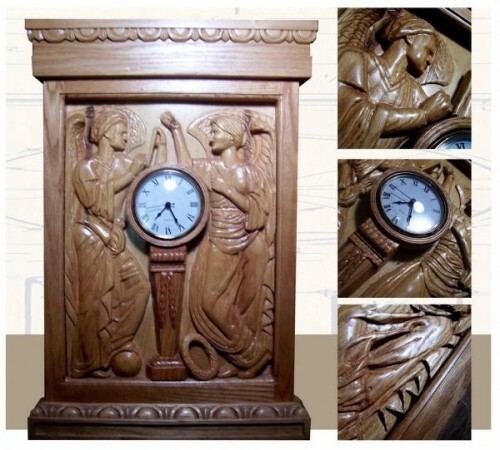 A famous wood carving titled “Honour and Glory Crowning Time” can be found at the Southampton Maritime Museum. The HMHS Britannic was built under the shroud of the Titanic tragedy and was initially planned to be named the Gigantic. Britannic was chosen as the name because it was deemed by the White Star Line as a lucky name; the company had three ships with this name, this being the second. She closely resembled the Titanic with her enclosed A deck but had a few different features including additional lifeboat davits. Additional safety upgrades were added to the Britannic including a watertight double skin that was installed during construction instead of being added after the ship was built like the Olympic. There was no initial plan to increase the power of the Britannic but she ended up boasting an 18,000 horsepower turbine instead of the 16,000 horsepower turbine featured on the Titanic. Its engine was the largest turbine in the world at the time. 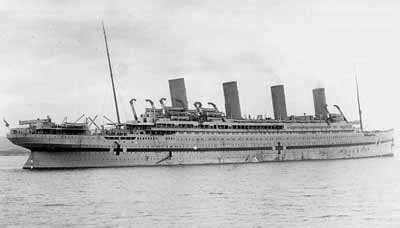 The Britannic’s launch occurred on February 26, 1914. the ship was soon requisitioned by the British navy as a hospital ship (Her Majesty’s Hospital Ship) giving it the HMHS Britannic name. On December 11, 1915 the Britannic began its short maritime career. On November 21, 1916 the Britannic struck a mine (some believe it may have been a torpedo) while sailing the Kea Channel in the Agean Sea. The ship immediately being to sink in the same manner as her sister the Titanic despite the improved safety features which were installed. The true horror began when two lifeboats were launched and immediately sucked into the ship’s propellors. The sinking of the Britannic made the Olympic the only surviving vessel of the White Star Line shuttle service. Her wreckage was discovered in 1976 by famous french explorer Jaques Cousteau and a few small objects were recovered. Because the ship was requisitioned by the navy, the remains of the Britannic, which lie in shallow waters, are currently the property of the British government. 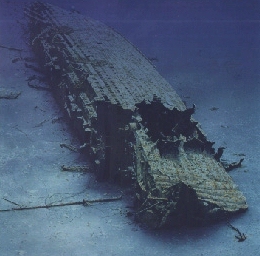 The wreckage was set to be recovered in 1995 by a team of Greek explorers, but their attempts were cut short following representations to the Greek government to halt the expedition.